An email from Kota Buku ('Book City' in English) confirmed that I will be presenting a paper at the AFCC 2013 Writers and Illustrators Conference in Singapore on Tuesday, 28 May! Of course, I've known about this all along; after all I spent a couple of weeks researching and writing a paper for the Conference. But it was nice receiving the confirmation all the same. Many thanks to Linda Tan Lingard, who alerted me that Kota Buku was looking for speakers for AFCC 2013. I attended the AFCC last year (refer to my post, Asian Festival of Children's Content 2012) on an impulse but it was worth all the last minute arrangements. Apart from the talks, lectures and workshops, it is an amazing platform for networking. You actually meet editors from Scholastic, Little Brown, Hachette, Harper Collins as well as local publishers face-to-face. Not surprisingly, I met Norhayati Razali, Manager of Kota Buku at AFCC 2012. Kota Buku is a government-linked organisation set up to invigorate the book publishing industry in Malaysia); the organisation visits most of the major international book fairs (Bologna & Frankfurt) to promote Malaysian books. Must not forget to mention that Malaysia Night is on 27 May and will feature traditional dances and even a theatre. This year's participants will include Yusof Gajah, a Malaysian artist/illustrator known for his iconic elephant drawings and paintings ('Gajah' means elephant in Malay); bestselling author Ain Maisarah (must find out the secret of her success! ), talented illustrator Emila Yusof and prize-winning author Teoh Choon Ean. I'm also keen to meet, John McKenzie, Principal Lecturer at the University of Canterbury College of Education from New Zealand, who will be the moderator for my talk and Naomi Kojima, a well known illustrator who is also a Facebook friend. Will also catch up with Daphne Lee, Malaysian author/teacher/editor/columnist; Tan Vay Fern, an illustrator I collaborated with on two of my books and of course old friends Gwen Smith and Mohana Gill. Best of all, my publisher MPH Publishing will be bringing over books to the AFCC 2013. Last year, Marshall Cavendish arranged for copies of Timeless Tales of Malaysia to be sent to the venue, more or less at the last minute. publisher/owner of Saga Seed Books from Malaysia and Kamini Ramachandran, a professional storyteller from Singapore. She is the co-founder of Moon Shadow Stories - an organisation which seeks to restore the lost art of the oral narrative tradition for adults. And must not forget to say hello to Kenneth Quek, the Festival Director and Dr Myra Garces Bacsal, Programme Director of AFCC Writers and Illustrators Conference. And my subject of choice? 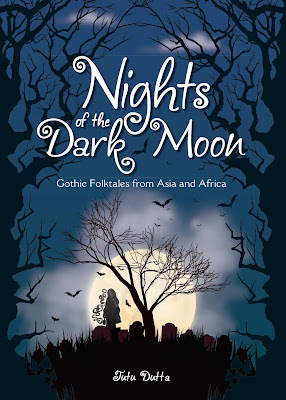 Adapting Asian Folklore as a Basis for Children's and YA Literature. Hmm... should I have picked a more current, edgy and market-oriented topic? The paper starts by examining how folktales have been incorporated as an integral part of the plot in certain children’s and YA books and also on the influence of Asian folklore in a number of YA books. References will be made to C.S. Lewis (The Lion, the Witch and the Wardrobe), Alan Garner (The Owl Service), Ruth Manley (The Plum Rain Scroll, The Dragon Stone and Peony Lantern) and Grace Lin (Where the Mountain Meets the Moon). As research is a key factor in writing a good book, we look at sources for Asian folktales e.g. unpublished stories on the internet, newspaper articles and also books, old and new. Research for a book should not just focus on one particular folktale but also on similar stories and variants of the story. Supporting research on the time and place which form the backdrop to the story i.e. details such as old place names, historical personages and cultural practices give the book texture and context. Reference will be made to The Jugra Chronicles: Miyah and the Forest Demon in this section. The need to re-interpret and retell these folktales, to make them relevant and appealing to a young contemporary readership is the third key point. The author needs to balance authenticity (being true to the story) with the need to hold the readers’ interest. Finally, the paper examines the pervasiveness of certain folktales throughout Asia to show the underlying unity in diversity. For example, The Tanjung Blossom Faerie is a story of seven faerie sisters (retold in Timeless Tales of Malaysia) who descend to earth to take a bath in a beautiful forest pool. The youngest sister loses her cloak and is unable to return home. A traditional Malay folktale, this story appears in folktales from Japan, Korea and China as The Weavermaid and the Herdsboy. Even more surprising, this same motif of seven faerie sisters appears in an Iban legend called Jelenggai (retold in Timeless Tales of Malaysia). Looking forward to meeting you and listening to your presentation. Thanks Corinne Robson! Looking forward to meeting you too. I am proud of you Tutu. Well done. Are you dropping by in KL? Thanks Fat Cat. May we know your real identity? from each other. If you're interested feel free to send me an e-mail. I look forward to hearing from you! Great blog by the way! I love your presentation. I like the way you show how stories evolve. Myth is not static and can be modernized to fit the taste of a new generation. Like you said, a good story will stand on its own merit, regardless of whichever method is used. Thanks Golda! I liked your presentation too - you are passionate about your book (Iban Dream) and your culture; and fearless in your writing! Greetings from Ohio! I'm bored to death at work so I decided to check out your site on my iphone during lunch break. I really like the info you provide here and can't wait to take a look when I get home.